As I reflected today on the steps leading to the death of our Lord Jesus Christ (Yeshua, Yeshuay, Yeshu Christu), so many emotions ran through my human mind, heart, and soul. As a human being, applying human logic to what Jesus Christ did on that day, on the Cross, on Calvary, would not be appropriate because He was following a plan that was created by God, the Father of all Creation (Devum, Yahweh, Jehovah), a plan that Divinity set into motion, at the time of Man falling prey to the hands of evil, through which satan and his demons control on this earth. Though God’s Omnipresence can be felt by those to which He has seen worthy enough in their search for their path towards His Eternal Kingdom, the world around makes it difficult for God’s Divine Laws of Love to shine through, ways that consist of unconditional love, mercy, and forgiveness to dominate. Human logic can not be applied to Divine Logic. As my header states, “A spiritual path is not dictated by Human Logic, but led by Divine Logic.” This is what Jesus Christ (Yeshua, Yeshuay, Yeshu Christu) showed us through His Life and Death on this earth. Since the time He was conceived to His Death. He was born due to a Divine Plan that God had set forth, to battle Humanity’s weakness to satan, his demons, and their rebellious ways to the Divine Laws of Love, which are the ways to the Eteranal Kingdom, the ways of the Throne Up Above. As a result, on that one fatal day in the Garden of Eden, where Adam and Eve fell to the Temptation, the trap that Satan set out for Humanity, to rebel, just as he did, against, God the Father of Creation (Devum, Jehovah, Yahweh), we are born as sinners. We roamed away from the original greatness that God, originally created Humanity to be. We had a direct link to the very Throne Room of God, and satan through his temptation, and us falling for that temptation, made humanity lose that direct link to the Throne Room of God. God, still loved Humanity, and this is why Jesus Christ (Yeshuay, Yeshua, Yeshu Christu) had to come to earth, to set Humanity free from the chains that satan and his demons shackled us to, since that day in the Garden of Eden. Our Lord Jesus Christ (Yeshua, Yeshu Christu, Yeshuay) knew that task that was laid out for Him to accomplish, the plan that He “had to finish”. What He had to finish was evil’s rule over Humanity, God, the Father of Creation (Devum, Yahweh, Jehovah)’s most beloved creation. For their fate was to reside in the very Throne Room in the Most High Court. He was to roam this earth, and show Humanity how we were to lead our lives, in order to enter the Eternal Kingdom of God, the Father of Creation (Devum, Jehovah, Yahweh); a way of life that defies all human logic, and demonstrates a way of life that are not of the world’s ways, but follow the Divine Laws of Love, ways of Unconditional Love, Endless Mercy and Forgiveness. To a heart that conforms to the ways of this world, whose ways are manipulated by evil and its ways, the Divine Laws of Love may seem foolish, illogical, and and insensible. To a heart that conforms in seeking the Divine Logic of the ways of the Eternal Kingdom, will see it as something that makes sense, and worth the investment of the earthly life and body. A way of life, that does not consciously harm another life, for the sake of self gain, self preservation, or self survival; but selfless gives to the point of harming his-/herself, in the earthly sense, being fully aware of the earthly shackles that evil tries to deceive Humanity with, in order to steer God’s most beloved creations away from Him, forever; and to give them the chance to rejoin Him again in His Eternal Paradise. As Jesus Christ states, that He is the Way and the Truth. It is through the ways that Jesus Christ,as the Son of God (Yeshua, Yeshuay, Yeshu Christu) showed us through His Earthly Life and Death on the Cross, and the Divinity He showed us through His Resurrection, that we are to conduct our lives, as His Followers in His Teachings. Satan and his demons know what they lost, once they rebelled against God, the Father of Creation (Devum, Jehovah, Yahweh); and they will try anything to keep God’s beloved creations away from Him, and to never allow for them to experience what they can never experience again, for themselves. 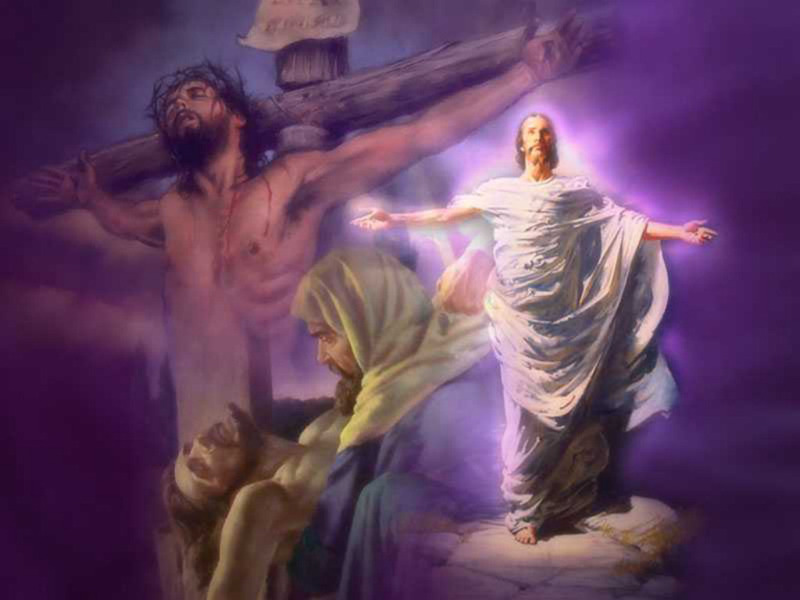 On the Cross, Jesus Christ, as the Son of God, (Yeshuay, Yeshu Christu, Yeshua) was able to reestablish that connection between Humanity and God, the Father of Creation (Devum, Yahweh, Jehovah); and permanently unshackled the chains of Satan from Humanity. He conquered Satan that day, on the Cross, in Calvary. However, it is up to us, to make that choice everyday, as we roam this earth, as Jesus Christ (Yeshua, Yeshuay, Yeshu Christu) did Himself, as the Son of God, in seeking God’s Divine Laws of Love, and to decide in following them until our last earthly breath, despite the world’s circumstances around us. This is why today is called “Good Friday“. Through Jesus Christ (Yeshuay, Yeshua, Yeshu Christu) God reconciled with Humanity, with the covenant through His Son, and His Death on the Cross. By becoming the Sacrificial Lamb, and shedding His Blood on the Cross, at Calvary, Jesus Christ became the sacrifice for God, the Father of Creation, for the sake of saving Humanity in being eternally lost to satan and his rebellion. The Blood that Jesus Christ (Yeshuay, Yeshua, Yeshu Christu) shed on the Cross on that Day, in Calvary, became the shield…the blood covering…that will protect Humanity from losing their way from the Eternal Kingdom, and allowing for those that have truly found the meaning of this blood covering, to enter in His Throne Room. Jesus Christ (Yeshuay, Yeshua, Yeshu Christu) showed us, as Humanity, what God, the Father of Creation (Devum, Yahweh, Jehovah) expects of us in order to kill the sinful nature within….As His Son did as He roamed this earth, we are to endure earthly trials, and to ask for His Divine Guidance and Help to conquer the trials, because it was our original human strength and logic, that we fell weak to satan and his demons. It is only through this Blood Covering, that Jesus Christ provided on that day, on the Cross, in Calvary, that we are able to conquer satan and his demons, not by our own doing. It is Jesus Christ, Our Captain, that conquered the evil of satan and his demons; and it is only through the protection of the blood covering that we are able to be protected. All things were made GOOD, through the Divine Plan accomplished in conquering evil, with the selfless act of unconditional love, through which Jesus Christ (Yeshuay, Yeshua, Yeshu Christu) accomplished with His Life and Death on His Father’s Earth. We must remember, Jesus Christ showed us everything we needed to know and do, through His Life and Death; from every word, action, and thought. And we must follow in His Footsteps, to the best of our abilities, with His Help and Guidance. We should take great joy when we face earthly trials. It only means that we are getting one step closer in our paths towards the Eternal Kingdom of God; and threatening the rebellious ways of the evil one, for those that decide to seek God’s Divine Laws of Love. I heard it best said by a pastor, “The devil will his own, that is those that follow his ways. Therefore, will seem to lead a life that is free from trials. If you do not have trials, that is when you should worry if you are getting further away from the Eternal Kingdom of God.” I tend to agree with that statement. If we take anyone that we considered Holy or great, including those that were declared as Saints or Prophets, they all led poor earthly lives, but held strong to their spiritual beliefs. So their lives only confirm that Jesus Christ’s Life Teachings, and Death, were correct in my mind. Why would the Creator conform to the ways of His Creations? He would wants us to lead a life to a Higher Calling, as that demonstrated by His Son, and the many prophets and saints that walked before us. Those everyone is called to lead such lives, few take on that call. So may I ask….are you one of those people who took their call seriously? 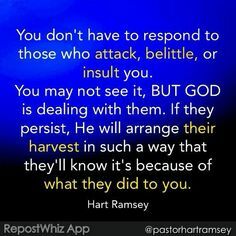 This entry was posted in Thoughts and tagged Armor of God, Battling Evil, Blood Covering of Jesus Christ, Devum, discernment, Divinity professes selfless love, enduring trials, Evil, Evil professes Self Love, Fight over souls (good vs. evil), God's Love, God's ways are permanent, God's Wrath, Good vs. Evil, Guidance of the Life Teachings of Jesus Christ, Jehovah, Jesus and His Crucifixion, Jesus Christ, Jesus Christ the Ultimate Symbol of Unconditonal Love, Jesus Christ's Blood Covering of Protection, Jesus Christ's Passion, Jesus Christ's Trials, Jesus' Resurrection, Path to Truth, Persecution, Satan's deception, SELF LOVE vs. SELFLESS LOVE, Spiritual Battles, Steadfast Faith, Take up your Cross, Trials and Tribulations, Yahweh, Yeshua, Yeshua Christu, Yeshuay on March 31, 2018 by foodforthespiritualsoul. As we celebrate Easter, let us meditate on this Ultimate Symbol of Unconditional Love. Jesus came onto Earth, to full God’s Purpose of providing Salvation for all of Mankind. God knew that evil had destroyed the original pathway He had created for Humans; and Jesus, as His Son, had to come to reestablish God’s Ways of Living; and in death to resurrection, to create another pathway back to Heaven. Jesus showed us in every way, what needed to be done in order to find our ways back to Abba, our Father in Heaven. He was a Life Example, as to how God wanted us to live. He also demonstrated that it will not be an easy journey; in fact, it will be a very hard journey to take. But being the Son of God, having the choice, to either endure or not endure all He did….He loved God so much…..He loved us unconditionally….to go through and choose to die for our sake, and to surrender to God’s Will of His Life to become the Salvation for all of Mankind. There is only one Jesus Christ. And He has died on the Cross, and has Risen. He will return, for the sake of taking back with Him, all those who have understood the message of His Life, on behalf of God the Father in Heaven. All those that endured earthly trials, and dealt with them, just as He did. Those who loved God so much, and appreciated the Sacrifice He made….as to travel the same path as He did…He will gather them in His Arms to hurt no more of earthly ways. He will return again, to wipe out all evil and darkness. Happy Easter to all! May we find the true meaning of Jesus’ Life and Resurrection, and decide to take on the same path, with His Help….and the inspiration of the life He led, while living on Earth. This entry was posted in Thoughts and tagged Battling Evil, Easter, enduring trials, evil ways are temporary, Fight over souls (good vs. evil), God's Unconditional Love, Jesus helping Man, Jesus' Life Example, Jesus' Resurrection, Jesus' Unconditional Love, Justice for "the Just", Path to Truth, Steadfast Faith, Trials and Tribulations, Turn the Other Cheek on April 24, 2011 by foodforthespiritualsoul.